We are located on the property where The Catskill Game Farm was once located. The Catskill Game Farm was the first privately owned zoo in the United States, built by Roland Lindemann, in many ways this property and its history represents the quintessential American dream. Built from the ground up it opened in 1933 and was operated by the same family until 2006. Since we purchased the property in 2012 we have welcomed hundreds of visitors to walk the grounds. Anyone is welcome, we only require that they contact us to reserve a time, someone will meet them with a liability waiver to sign and open the gates (then lock up when they are done). The property was left with many hazards including many jagged cut fence posts cut just inches from the ground along the road ways. We are currently seeking investors for the large scale projects we have planned, but this fundraising will NOT be going towards those projects. Every penny goes towards cleaning up the property to make it safer for visitors, to provide a portolet for those who chose to come and helping preserve memorabilia for the future museum. If you would like to know more about our plans for the property please feel free to visit our website at www.TheOldGameFarm.com . 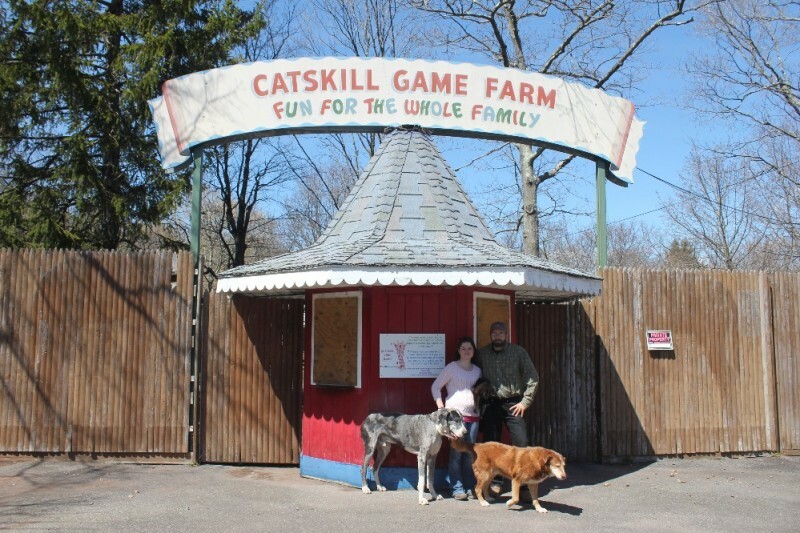 New Plans for Old Catskill Game Farm! Thank you TWC news for visiting yesterday! Thank you everyone for your support, we have had over 76 groups contact us to schedule a time to come visit the property, we look forward to meeting each and every one of you! If you are interested in visiting, please feel free to sign up at www.TheOldGameFarm.com !! A dream is forever, built over time, it will happen. Can't wait to visit next week! Looking forward to visiting and seeing what the future holds. Looking forward to the visit and rekindling memories!